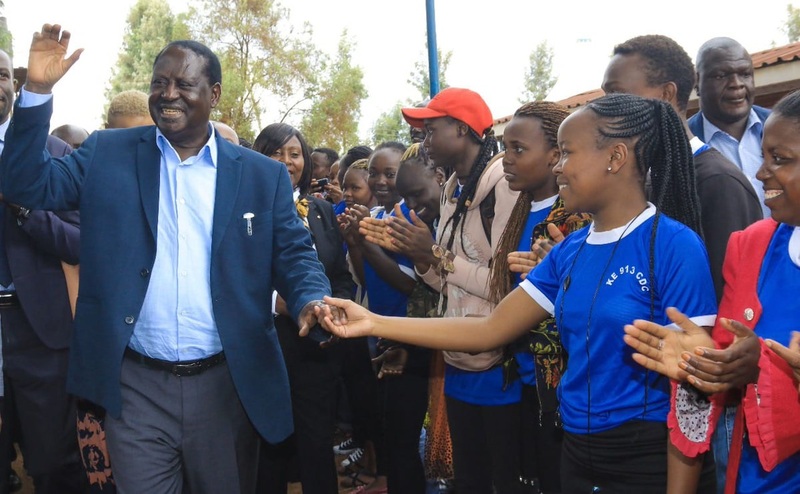 Tuesday December 11, 2018 - Former Prime Minister Raila Odinga was in Kiambu yesterday for a Christmas Luncheon at P.C.E.A's Kangoya Child Development Centre. However, almost all Kiambu elected leaders kept off Raila Odinga’s event raising more questions than answers as to where their loyalty lies. None of the 12 elected leaders accompanied Raila even as Kiambu Governor Ferdinand Waititu’s office confirmed being informed about it. Kikuyu MP, Kimani Ichung’wa, was categorical that he would not have attended the meeting even if he was aware of it. Nonetheless, he noted that he was in Garissa County where he had accompanied Deputy President William Ruto on a working tour. Waititu and Ichungwa among other leaders from Kiambu have maintained that they will never vote for Raila Odinga but William Ruto come 2022. This is even as Raila partnered with President Uhuru Kenyatta through the famous handshake and technically supported Uhuru’s Presidency.